A: All logo's should be sent to penimpressions@gmail.com after you have placed your order online. A: Our production time on all orders is 7-10 business days unless you see the SHIPS IN 3 DAYS image or SHIPS IN 1 DAY image. A: Yes , on any item. Q: Does Pen Impressions accept company purchase orders? A: Pen samples can be requested online. Q Do you have any FREE CLIPART available? A Yes, we have FREE CLIPART for your use. CLICK HERE for our FREE CLIPARTS. 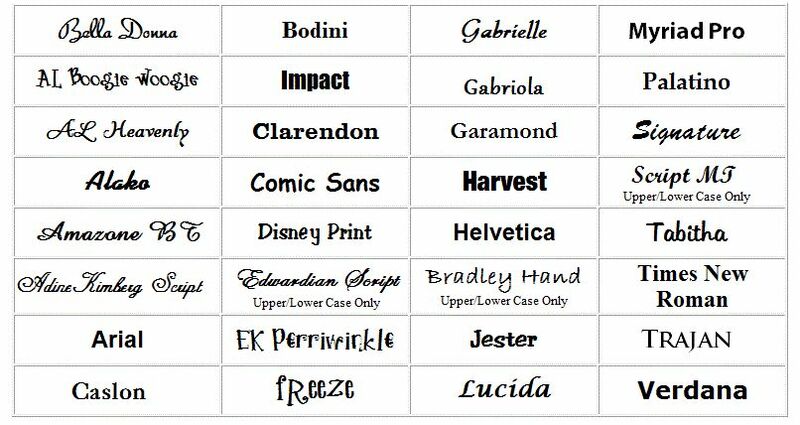 A You can use any font listed on Microsoft Word or CLICK HERE for our available fonts. Q Can a live person take our order on the telephone? A Yes, Call us TOLL FREE 1-888-855-PENS (7367) .